Quick: is or is not the following statement an insult to the United States? The president of the United States reflects the values of America. The question occurred to me while watching the first televised interview with James Comey, the former director of the FBI, since he was fired by Donald Trump. 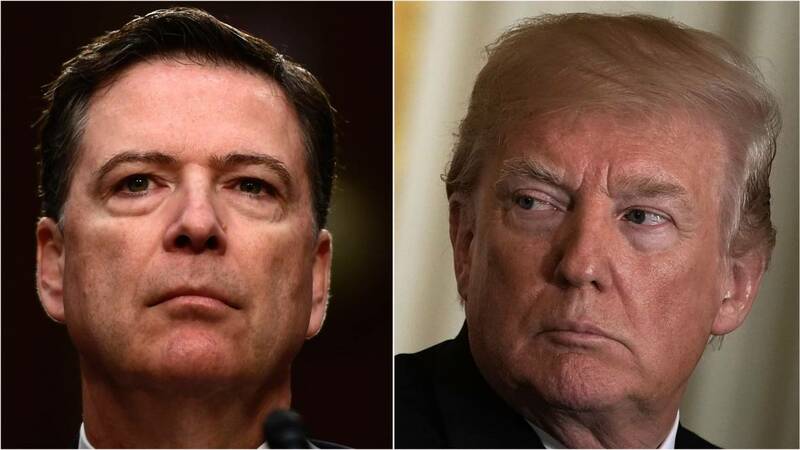 President Trump, Comey told interviewer George Stephanopoulos, “does not reflect the values of this country.” Americans will face a test when it comes to re-electing him, he said. Trump Nation, one imagines, would laugh off that statement as the opinion of a bitter ex-member of the Deep State in Washington, a swamp creature purged by their beloved champion. And Comey is, after all, promoting a book critical of Trump. But turn the statement around, and it becomes an interesting little mind experiment. What would be the reaction if, say, a foreign leader, say, Prime Minister Justin Trudeau or perhaps British Prime Minister Theresa May, flatly stated that Donald Trump personifies all that is best in America? My guess is that a lot of Republicans, including some who voted for Trump, would reflexively take the suggestion as an insult. They would at least be taken aback. Because everyone knows, really, that Trump personifies few if any of the values Americans are brought up to believe their country stands for. Quite the opposite, sometimes. Trump’s supporters tend to give him a pass for that (or, as one evangelical leader put it, “a mulligan”), but they understand it. What values is Comey talking about? Americans are taught from the cradle that America is a shining city on a hill, where values like truth-telling, fidelity, courage, service, charity, humility, dignity and strong religious faith are all part of the nation’s foundational self-image. Does America’s current president bring any of those things to mind? To ask that is to answer it. His attributes are so well-known to everyone that by now it’s become gross overkill to list them. 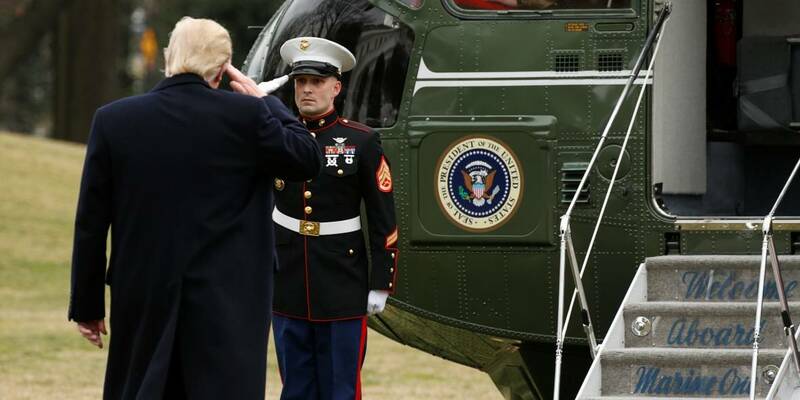 Well, all right, just one: the man now getting off helicopters and planes and returning the crisp salutes of immaculately uniformed U.S. soldiers actually evaded military service as a rich young bon vivant by claiming he had heel spurs, a condition that didn’t seem to prevent him from playing football, tennis, squash and golf while others went to war. Trump showed no interest whatsoever in public service of any sort until he decided he wanted to be president. He probably thinks those who allowed themselves to be drafted were suckers and chumps. In any case, it’s a safe guess he’s not the idealized Republican image, or even the Tea Party image, of a commander-in-chief. Comey, on the other hand, the man Trump now calls “Slippery James Comey,” and “a slimeball,” and not very bright, has hardly been about anything other than public service. A conservative Republican who majored in religion and chemistry as an undergrad, going on to take a graduate degree and then a doctorate in law before choosing the average pay of a prosecutor rather than pursuing the huge income of a corporate lawyer, Comey eventually rose to U.S. Attorney of the Southern District of New York and then deputy attorney general. His relentlessness as a lawman tormented former president Bill Clinton, and, much later, Hillary Clinton. He was also principled enough that when former president George W. Bush sought re-authorization of his secret, illegal program of domestic wiretapping, then-acting attorney general Comey stood with then-FBI director Robert Mueller and threatened to resign. What a slippery, slimy ball of whatever, right? Actually, in writing and promoting his book, Comey may be undermining Mueller, and his own value as a possible witness in any future prosecutions. Former senior government officials, particularly law enforcement officials, are expected to maintain a stoic, apolitical dignity upon departure. While it’s understandable that Comey would want to roll up his pantlegs and jump into the Trump pigsty to counterpunch, he has in fact succumbed to the whole different set of values Trump has brought to governing. Mueller, a lifelong Republican, is probably the personification of that ideal commander-in-chief. He enlisted in the Marines at age 23 after earning a master’s degree and went to Vietnam as commander of a rifle platoon. He rescued a fellow soldier under fire, and continued to lead his men after being wounded. For that he was given the Bronze Star for valour. He went on to achieve a juris doctor in law, like Comey, eventually becoming the second-longest serving director in FBI history, appointed by a Republican president, then re-appointed by a Democrat. Mueller doesn’t speak much in public, and when he does, he doesn’t tweet nasty nicknames for people or praise himself. He seems unswerved by Trump’s denunciations of his investigation as a “witch hunt,” and indifferent to Trump’s argument that there was no collusion and therefore the investigation should cease. He just keeps on following leads and making arrests. At his reference, federal prosecutors in New York, with permission from a federal judge, raided the office of Trump’s own lawyer, Michael Cohen, provoking shrieks from Trump’s supporters that he has crossed a Trump “red line” (which is irrelevant) and that he’s destroyed attorney-client privilege (which is simply untrue). To Trump Nation, this puts Mueller into the swamp/Deep State category, and Trump’s pet media personalities, principally Fox News’s Sean Hannity, have enthusiastically denounced Mueller, attempting to delegitimize him, supporting Trump as he tries desperately in court to have his lawyer’s files sealed and withheld from the FBI and Justice Department. Then, on Monday, it was revealed in court that another of Michael Cohen’s clients was … none other than Sean Hannity, who had failed to disclose that particular conflict of interest during his on-air diatribes. How swampy, really, can you get? It’s a repugnant slogan, really, one deployed by police states. Trump has the same right as anyone else to his day in court and due process. But nobody else can fire Mueller, which Trump is now openly musing about doing. Just as Richard Nixon fired the special counsel who was investigating Watergate. Because Trump is president, duly elected by American voters, and unimpeached by Congress. So let’s revisit Comey’s statement about Trump not representing American values. Well, perhaps not the values of Mueller. And certainly not the values of Barack Obama, or John F. Kennedy, or Dwight Eisenhower, or other former presidents Trump says he outshines. Imagine Trump declaring that you should ask not what your country can do for you but what you can do for your country? Coming from him, that would just sound weird. Nonetheless, Trump does represent America at the moment. Of that there is no question. And, very possibly, contemporary American values. Comey is certainly right about one thing: we’ll find out the answer in elections to come, won’t we? Source: Neil Macdonald / CBC News.